Today I prepared a great low-carb, gluten-free and healthy recipe: baked chicken breast fillets, covered with tomato and zucchini slices and grated cheese. This easy and simple chicken bake could be a delicious light dinner, it’s easy to prepare, it’s tasty, healthy and low in calories. The ingredients are healthy, they fit in a low carb diet. To prepare this dish, you will need some chicken breast fillets, tomato, zucchini, garlic, fresh herbs, oil and your favorite cheese. Fist cook the seasoned chicken breast fillets in a little olive or vegetable oil, until is white. 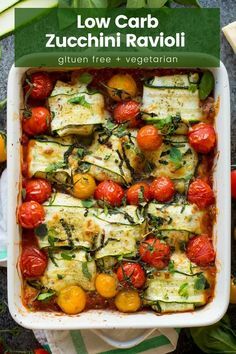 After the chicken breast is cooked, which it takes just 6-7 minutes, place the veggie slice on top of the meat, sprinkle the dish with fresh herbs and grated cheese and throw them in the oven. Bake the dish for 20-25 minutes until the cheese is melted and the veggies are softened. Serve the dish warm with smashed potatoes, rice or for a healthier result just eat it with salad. This chicken breast bake is a great way to eat summer veggies: tomatoes and zucchini. 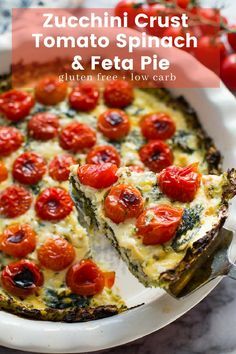 The veggies are soft but crunchy, full of vitamins and vibrant flavors, and the best part is – are topped with melted cheese, oregano and basil. The baked chicken breast is so soft and crumbly, topped with cheesy the veggies makes the perfect combination. This baked chicken dish not just looks really good, is also tasty and healthy. Find below the detailed recipe. Hope you will like it! Wash the vegetables and cut them into ½ inch | 1 cm thick slices. Season the zucchini slices with salt and pepper and put them aside. Wash the chicken breast fillets, slice them half and rub them with salt, pepper, paprika and garlic powder or crushed garlic to taste. Heat 1 tablespoon olive oil in a skillet on medium heat. When the oil is hot, add the chicken breasts and cook both sides for 5-7 minutes, until the meat is white. Preheat the oven to 170°C/340°F. Grease an ovenproof dish and place the seasoned chicken breasts into dish. Put a slice of tomato on the chicken, then a slice of zucchini, repeat it. Finally sprinkle the top with the grated cheese and ¼ teaspoon of oregano and basil. Place the dish in the oven for 20-25 minutes, until the cheese on top of the baked chicken is golden brown. Serve it immediately with rice or mashed potato and salad. I think 3340 degrees is a little hot for chicken. :)) you’re right! Thanks for the observation! I followed the procedure but it ended up flat taste because the juices of the tomato and zucchini washed away the taste of the chicken so it ended up like soaked in the veggies’ juice. Should it be grilled or oven? Are the veggies really 1 inch slices? I had to make them 1/2 inch to get them to layer on the chicken. It is a fabulous dish. Love! Thank you for sharing. Thank you for remark Paula, my mistake! It’s supposed to be 1/2 inch thick slices! I’m glad you enjoyed the dish! I just tried the recipe and omg it’s so good! It was delicious! Thank you so much for sharing it! By the way, 340 degrees is perfect. Trying this tonight. Just wanted to note that in your description you say it’s sugar-free, but there is sugar in the tomato and zucchini. I would change it to say there is no added sugar.